Was Mona Lisa pregnant when she posed? 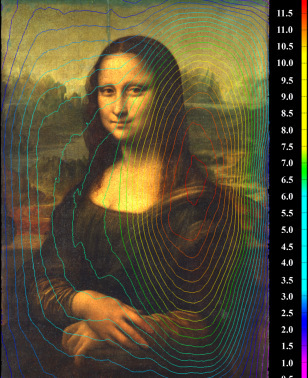 This color-coded elevation level contour map, similar to a topographical map, provides an accurate record of the exact overall shape of the poplar panel on which the Mona Lisa was painted. The contours show that the panel is warped, but scientists say there's no threat to the painting itself.